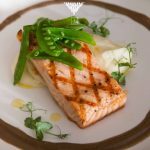 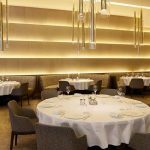 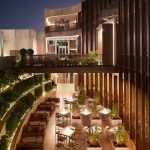 Jean-Georges Dubai is an elegant restaurant situated in Dubai’s finest resorts, Jean-Georges presents a relaxed collection of internationally-influenced dishes. 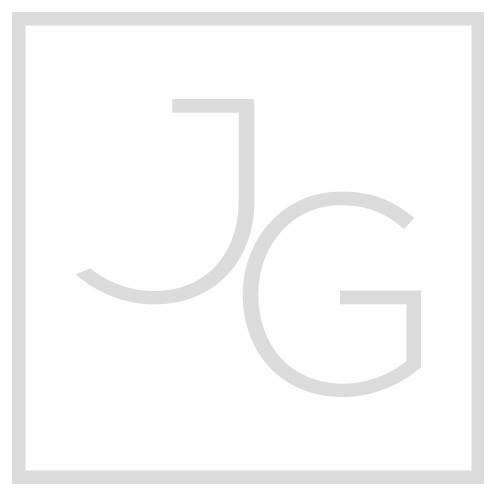 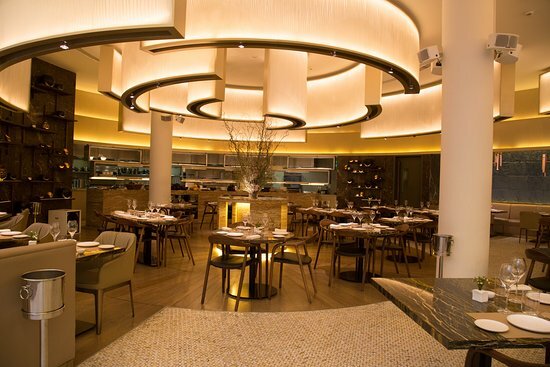 JG Dubai, a casually chic café, Jean-Georges presents a relaxed collection of internationally-influenced dishes. 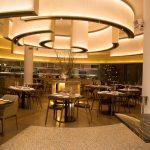 The Gwenael Nicolas designed restaurant – adorned with wood, stone and white shells, showcases an exhibition-style open kitchen and contemporary chandelier of flowing white fabric, created by Japanese fabric artist, Reiko Sudoh. 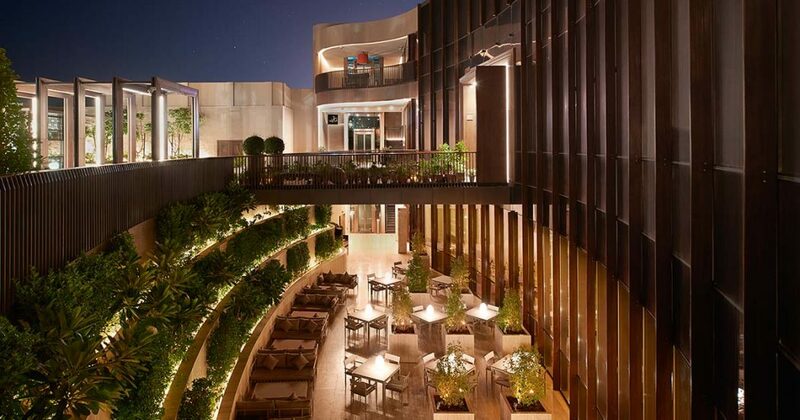 Along a curved glass wall, the luxe lounge offers landscaped views of the garden. 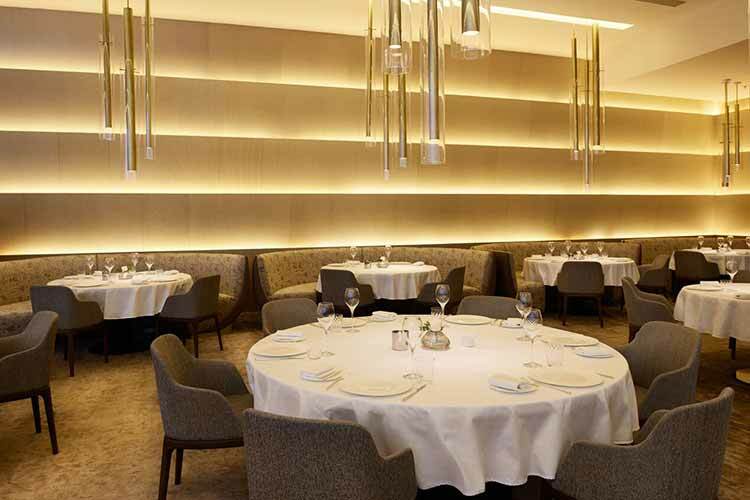 The menu shows a staggering lack of cutting edge, the décor is fairly bland and there’s not much of a buzzy atmosphere. The roast cod comes with a smattering of steamed vegetables and a flick of jus.